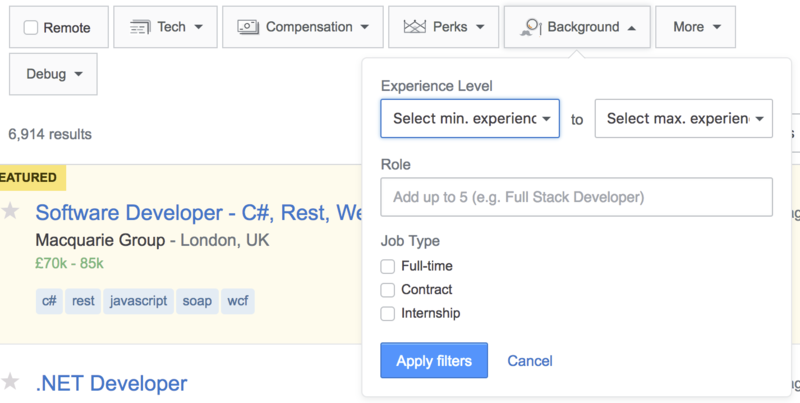 I was wondering if jobs will add the ability to filter for full-time vs part-time jobs? If not, is a reason that this doesn't already exist? We don't currently support part-time because not enough jobs provide it so it doesn't make for a worthwhile filter. It's possible we'll re-evaluate this in the future if employers express an interest in it.